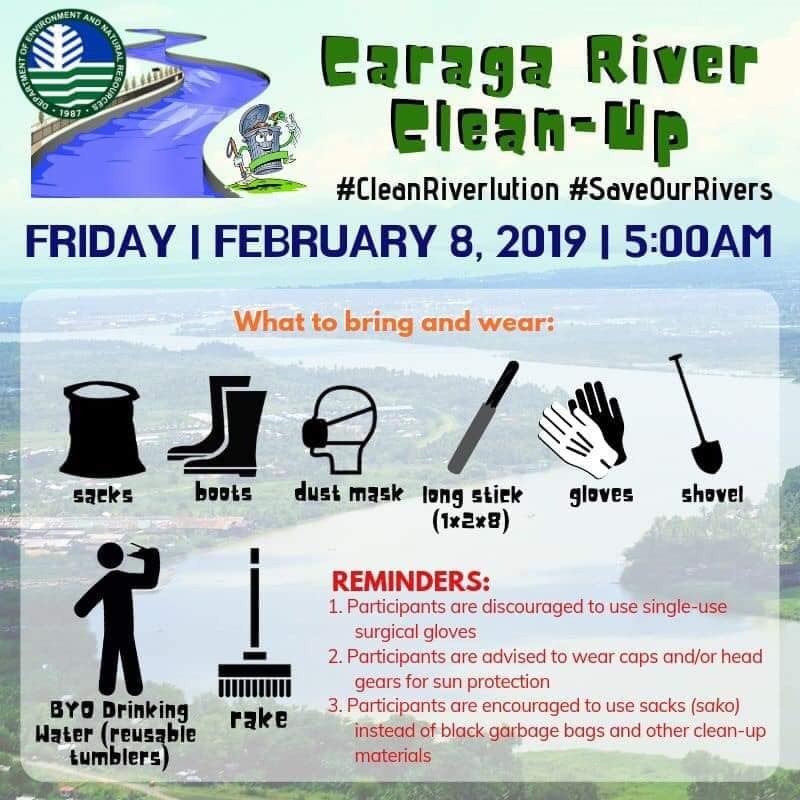 BUTUAN CITY, Feb. 7 (PIA) - Local communities, government employees, students and volunteers from all over Caraga will spur a ‘riverlution’ for cleaner bodies of water through a simultaneous River Clean-Up activity on February 8, 2019. The massive clean-up drive, spearheaded by the Department of Environment and Natural Resources (DENR) - Caraga, is part of the ensuing activities after the launching of the Rivers for Life Advocacy campaign of the agency that calls for action to mobilize and promote citizen participation in its effort to revitalize rivers, noting that pollutants from agricultural, domestic and industrial activities end up contaminating rivers. “As stewards of the environment, everyone is encouraged to join said activity. We should be passionate in taking initiatives that will ensure cleanliness of our water resources. And we can simply start from making it free from trash and other pollutants,” said DENR-Caraga regional director lawyer Felix Alicer. Several sites were identified where the activity will be conducted. 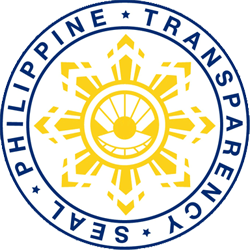 In Butuan City, it will be at Ambangan and Montilla Boulevard Creeks. “This water resource is tied to this city’s rich history and also plays a major role in managing and regulating flood waters in the city, being a tributary to Masao River,” Alicer said. Other sites include Cabadbaran River in Cabadbaran City and Minabang Creek, San Francisco in the province of Agusan del Norte. 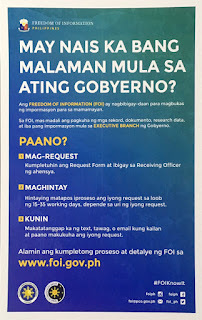 For Agusan del Sur province, it will be at the Taglatawan River in Bayugan City, Co-o Creek in Bunawan, Malihaw Creek in Del Monte, Talacogon, and Bacay River in Veruela. Dinagatnons and Surigaonons are also encouraged to proceed with the clean-up activity at the Navarro River, Tubajon, province of Dinagat Islands; Kinabutan and Sabang Dos Rivers in Surigao del Norte province; and at the Cantilan, Lianga and Tabon Rivers in Surigao del Sur province. Participants may wear comfortable clothes and footwear appropriate for the activity.